The U.S. withdrawing from the Iran nuclear deal and rising tensions between the two countries will be bullish for global oil prices, Abhishek Kumar, Senior Energy Analyst at Interfax Energy in London, told Azernews. “On the one hand, it will make it difficult for Iran to market its oil, thereby constraining supplies globally. On the other hand, there is a real risk that this could ratchet up the proxy war between Saudi Arabia and Iran in the Middle East. Heightened tensions recently at straits of Hormuz and Bab-el-Mandeb are testimonies to this,” he noted. Elsewhere, the U.S. sanctions on Iran also has the potential to hinder the ability of the OPEC to make unanimous decisions, which in turn could delay the cartel exiting from the output-cut agreement, according to the analyst. This will also be supportive of oil prices, he said, adding that Interfax Global Gas Analytics forecasts the Brent crude front-month futures price will average $71/bbl in 2018 as a whole. 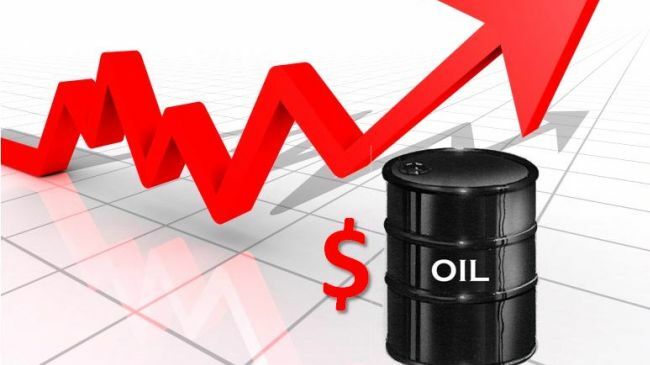 Speaking of the consequences of growing oil prices, the energy analyst said that high oil prices have contributed towards demand destruction in past, and a similar scenario cannot be negated if prices continue to climb. “This, in turn, will adversely impact global economic growth prospects. Countries such as the U.S., Saudi Arabia and Russia are already boosting their oil output; however, it is not a foregone conclusion whether this will be enough to balance potential production declines from Iran and Venezuela as well as Libya’s uncertain output profile,” Kumar added. On May 8, President Donald Trump announced that the United States walks away from the accord reached in 2015 between Tehran and the six world powers. Trump also announced that the U.S. will re-impose the nuclear-related sanctions on Iran’s economy and oil exports, which were waived under the JCPOA. As Iran is the third largest producer in the Organization of Petroleum Exporting Countries (OPEC), renewed sanctions against the country will reduce the global supply of oil. Meanwhile, the prices for “black gold” are catching some lift on Monday after a decline on Friday – this is how investors react to data on decrease in oil production facilities in the U.S. and rumors of a reduction in production in Saudi Arabia. Brent crude oil futures were up 31 cents on the day at $73.52 a barrel by 0903 GMT, while U.S. futures rose 35 cents to $68.84 barrel. According to sources in OPEC, Saudi Arabia pumped around 10.29 million barrels per day (bpd) of crude in July, down about 200,000 bpd from a month earlier.